Billy Williams was inducted into the Hall of Fame in 1987. 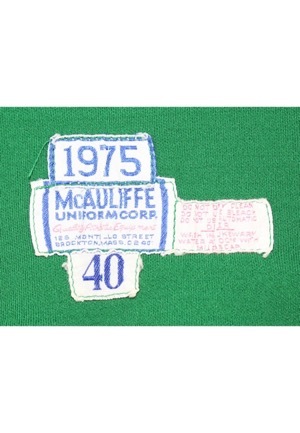 On the front middle tail is the McAuliffe manufacturer's tag. Below is a box tag with the size “40”, above is a box tag reading the year “1975” and to the right is a tag with washing instructions. 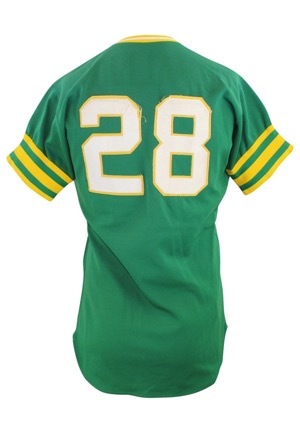 On the left chest is the team’s “A’s” logo and across the back is the player number “28”. All numbering and lettering is done in white on yellow tackle twill. 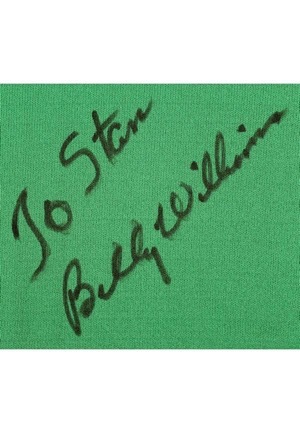 The player name has been removed from the back but the outline of “WILLIAMS” is still visible. The front letters have been restored. 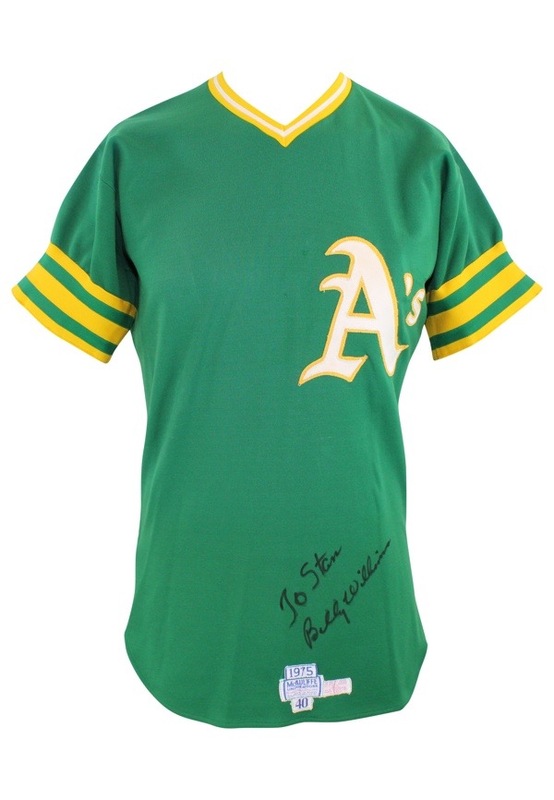 Williams signed the front of the jersey in black marker with the added inscription “To Stan” and in our opinion the signature rates a strong 8. This jersey is properly tagged, was presented to us as game-used and in our opinion shows outstanding use. Accompanied by a LOA from JSA.